Hahaha! I love that one. Love it she is a cool grandma. Hahaha! Forget the grandma, even I want to try that!!!!!!! You bet! And if you do and I’ll be sure to have a post just on you! 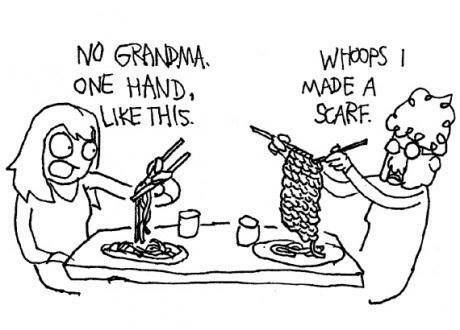 That better be one damn good noodle scarf! Previous Previous post: I’m not telling you my name!